Teaching in the igeneration can be a challenging prospect, with teachers often feeling as though they’re competing against multiple screens for their students attention. But rather than working against technology, why not work with it? School 21 does just that. An innovative 21st century pioneering school based in Stratford, School 21 takes a much more practical, project based approach to your usual state curriculum to ‘rebalance pupil’s heads’ and educate pupils with ‘work that has real value beyond the classroom’. 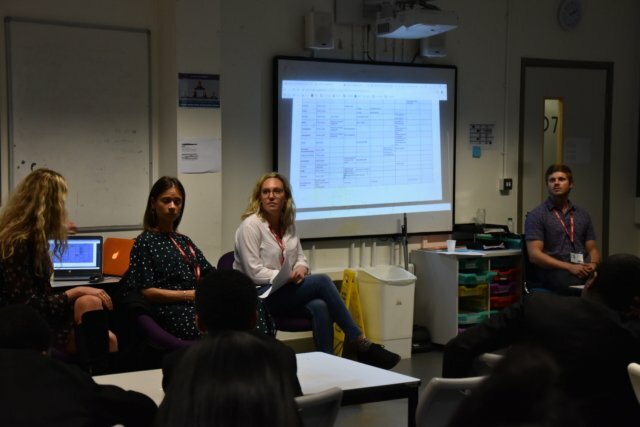 After a smash hit summer of high flying tech conferences, giant doughnut cakes and festivals galore, we were delighted to share our collective event production experience when approached by Year 9 teacher, George Duoblys. The School 21 curriculum requires each year group to present a project at the school’s annual exhibition show. 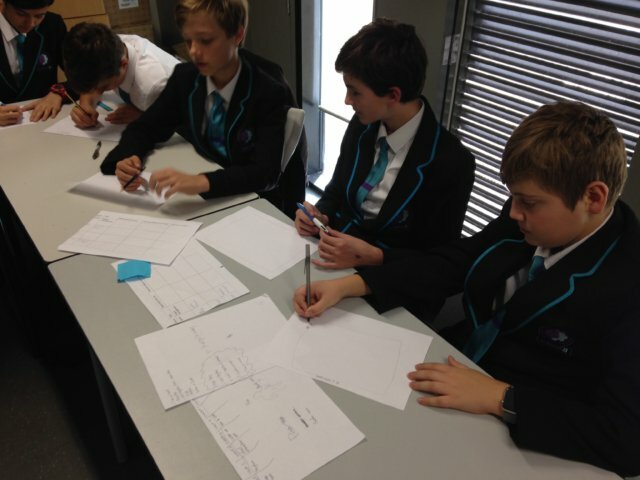 Year 9’s hefty task was to produce an immersive cinema experience based on the Marvel franchise, in 8 weeks. This is where form teacher George Duoblys asked the Marble LDN team to step in, to share our collective expertise and inspire the group. Jumping at the opportunity, we sent 4 of the very best of the Marble workforce back to school. Representing event planning, production, design and technical management, our aim was to talk through the makings of a successful event. The children were taken through the various roles involved to create their project and what tools would help them organise the time they had left to conceptualise, create and produce their event. At various stages they took part in tasks such as timelines, floor plans and event tick lists to proactively help them understand some of our techniques. We then showed them examples of our work, and how the techniques they’d practised had facilitated certain areas of our events before ending with a Q&A session. It was really rewarding to see their reaction to our work, particularly their excitement after showing them a video of a doughnut installation we produced for The NED and the lighting curation we created for Noisily Festival. As soon as each video stopped, every hand in the room shot up, buzzing with questions, wonderment and disbelief. “THOSE DOUGHNUTS WERE FREE…?!!”. 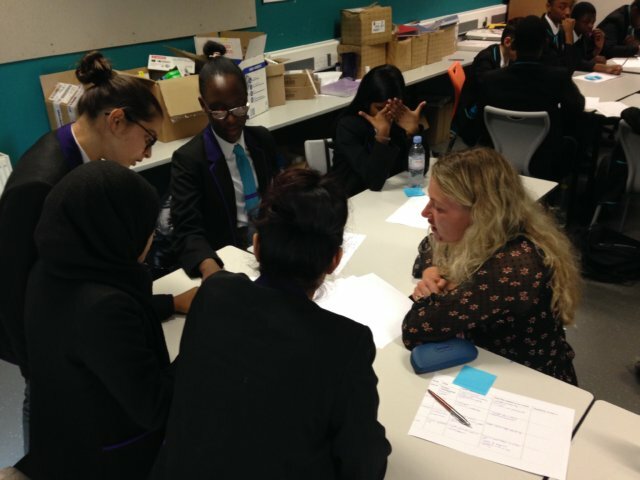 Their response to each workshop was also incredible to watch, and to see how they took on each task in hand and totally thought outside of the box whilst working together to solve potential problems and reach final decisions. At the close of the workshop, they were asked to write down one piece of information they had learnt from their session with us. We loved reading through their comments, ranging from the passionate and thoughtful to the totally off the wall. Love what you’re doing School 21. Watch this space. 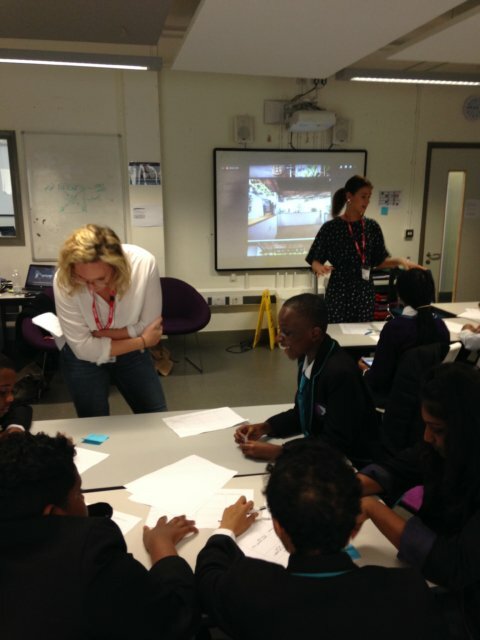 “Thank you so much for arranging / coming into School 21 and sharing your expertise – I was blown away by the examples of your work you showed us and I felt like the practical advice was pitched at exactly the right level. It’s never easy to come in and do these things and they can very easily flop – I really appreciate the time and effort you guys put in to making sure that didn’t happen. I reckon the post it notes saying what the students had learned and the great questions at the end (that I had to curtail!) are testament to the afternoon’s success. Thank you again!” – George Duoblys, Year 9 teacher at School 21.